Last week, my boss and I attended a short conference (of the professional type) at a state park in Illinois. My boss learned that I wasn’t lying about my snoring. I learned that I should not share a room with people, despite their claims that they are used to snoring, wear earplugs and have never heard the sound of logs being sawed. 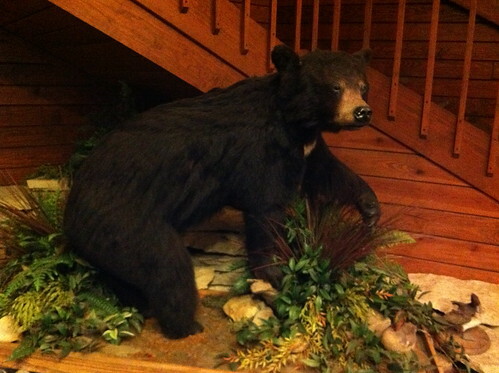 Anyway, the lodge had this really awesome watchdog guardbear, and it definitely kept the riff-raff out of the lobby. Nature, y’all. It’s incredible.